Tim Wood is the Administrative Manager at Washington State University, College of Nursing. He graduated from the University of Idaho with a Bachelor’s degree in Human Resource Management. Tim has been with WSU for over ten years and has worked at both the Pullman and Vancouver campuses. 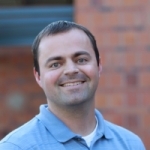 Tim has extensive experience with WSU’s fiscal procedures and operations and has a special interest in grant and contract management and post award accounting.